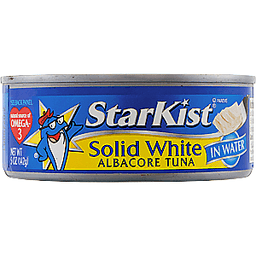 The best tuna. 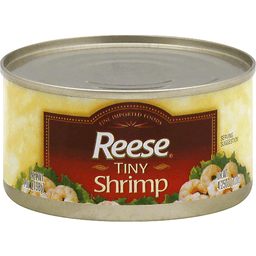 Naturally high in protein. Heart healthy omega-3 (Supportive but not conclusive research shows that consumption of EPA and DHA omega-3 fatty acids may reduce the risk of coronary heart disease. 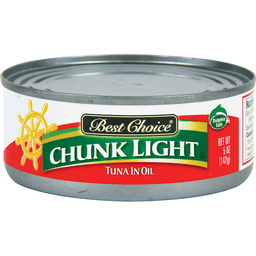 One serving of light tuna in oil provides 0.1 grams of EPA and DHA omega-3 fatty acids.). See nutrition information for total fat, saturated fat and cholesterol content. Find great recipes at: www.chickenofthesea.com. 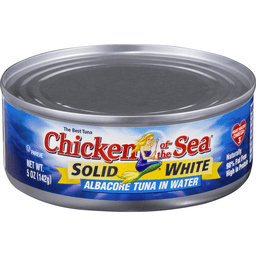 Send product comments to (including number from your can): Chicken of the Sea International, Consumer Affairs, PO Box 85568, San Diego, CA 92186-5568. 100% recyclable packaging. Wild caught. Dolphin safe. Drained Wt: 4 oz (113 g). Omega-3's (For more information on omega-3's and great recipes, visit www.starkist.com): Contains 110 mg of DHA & EPA omega-3's per serving. Steel - Please recycle. Dolphin safe. Questions: 1-800-252-1587 Mon-Fri. Refer to code number on can end. 70 calories per pouch. 17 g protein. Fresher tasting & no draining. Flavor fresh pouch. Omega-3's. 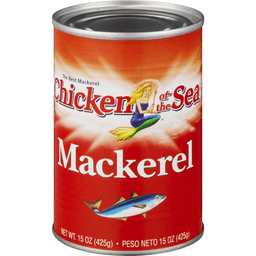 Contains 170 mg of DHA & EPA Omega-3's per serving. American Heart Association certified. Meets criteria for heart-healthy food. While many factors affect heart disease, diets low in saturated fat and cholesterol may reduce the risk of this disease. Gluten free. Dolphin safe. Questions or Comments? Call 1-800-252-1587 Mon-Fri, refer to code number on pouch. Product of Thailand. In sunflower oil. Fresher tasting & no draining. Omega-3's (For information on omega-3's and great recipes, visit www.starkist.com). Flavor fresh pouch. Questions or comments? Call 1-800-252-1587 Mon-Fri. Refer to code number on pouch. Dolphin safe. 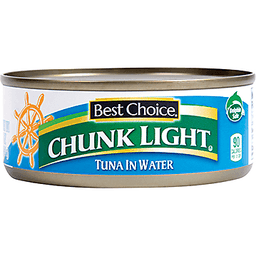 Lightly marinated premium chunk light tuna. 80 calories per pouch. 18 g protein. Omega-3s. 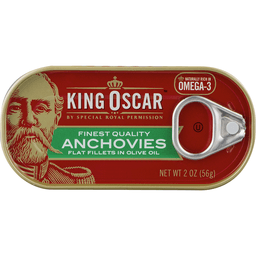 Contains 85 mg of DHA & EPA omega-3's per serving. Heart-check mark does not apply to recipes. 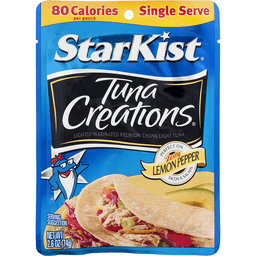 StarKist Tuna Creations Lemon Pepper: seasoned with zesty lemon and black pepper flavor. 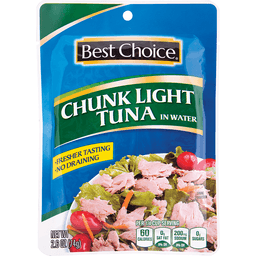 Enjoy on a salad, in a sandwich, on crackers, or right from the pouch. 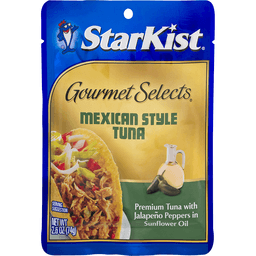 For more great ways to use Tuna Creations: www.StarKist.com. Gluten free. Dolphin safe. Questions or comments? Call 1-800-252-1587 Mon-Fri. Refer to code number on pouch. American Heart Association Certified: Meets criteria for heart-healthy food. While many factors affect heart disease, diets low in saturated fat and cholesterol may reduce the risk of this disease. Product of Ecuador. Drained wt: 9 oz (255 g). Questions: 1-800-252-1587 Mon-Fri. Refer to code number on can end. Dolphin safe. Steel: Please recycle. Omega-3's (For more information on omega-3's and great recipes, visit www.starkist.com). 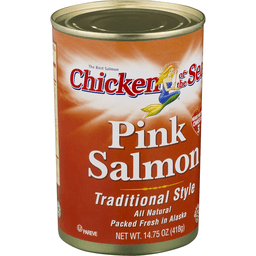 Contains 90 mg of DHA & EPA omega-3's per serving. American Heart Association certified. Meets criteria for heart-healthy food. While many factors affect heart disease, diets low in saturated fat and cholesterol may reduce the risk of this disease. Made in America. 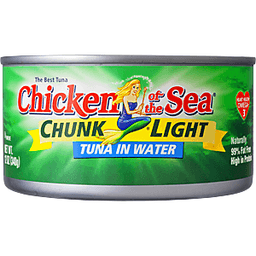 Chicken of the Sea® Chunk Lht Tuna in Water 50% Less Sodium. 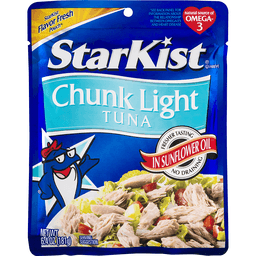 The best tuna. Naturally 99% Fat free. High in protein. 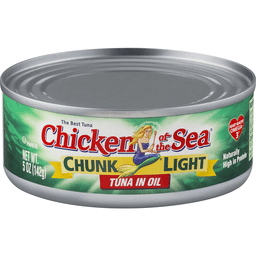 Heart healthy omega-3*. Sodium reduced from 180mg to 90mg. *Supportive but not conclusive research shows that consumption of EPA and DHA omega-3 fatty acids may reduce the risk of coronary heart disease. 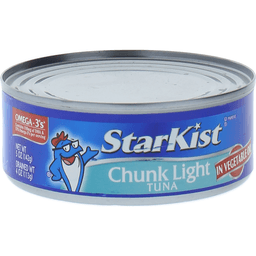 One serving of light tuna in water provides 0.1 grams of EPA and DHA omega-3 fatty acids. See nutrition information for total fat, saturated fat and cholesterol content. Find great recipes at: www.chickenofthesea.com. 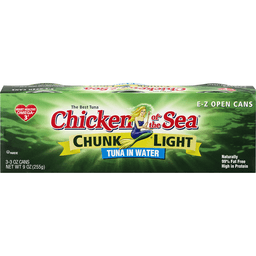 Send product comments to (include number from your can): Chicken of the Sea International, Consumer Affairs, P.O. Box 85568, San Diego, CA 92186-5568. 100% Recyclable packaging. Wild caught. Dolphin safe. 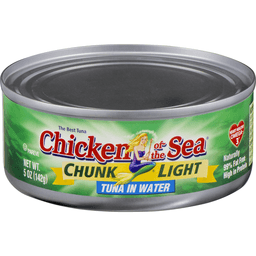 ©2012 Chicken of the Sea Intl. 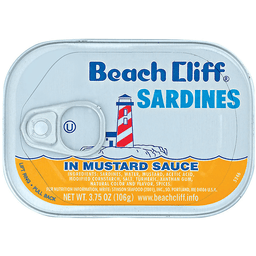 Beach Cliff® Sardines In Water. www.beachcliff.info. 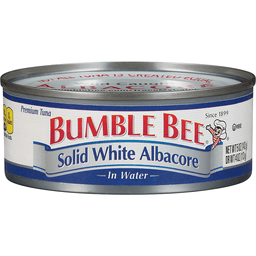 For nutrition facts, write: ©Bumble Bee Foods, LLC, San Diego, CA 92186 USA. 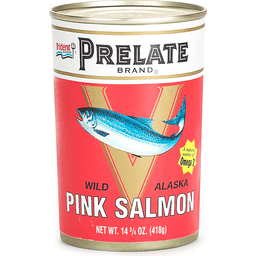 Prelate® Wild Alaskan Pink Salmon. 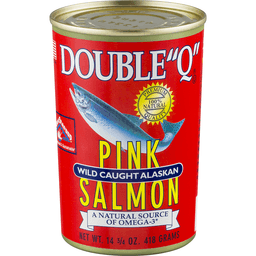 A natural source of Omega 3*. NET WT. 14 3/4 OZ. (418g). 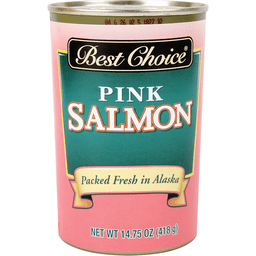 Prelate pink salmon is packed from wild Alaska salmon. With no artificial ingredients or preservatives added, the entire contents of this package are completely edible, including the liquid, skin and bones, which provide valuable nutrients. 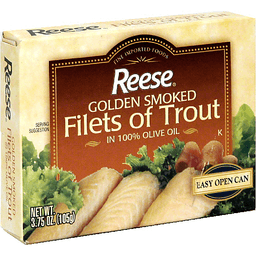 *Contains 1000 mg OMEGA-3 per serving. Bumble Bee® Snack On the Run! Tuna Salad with Crackers. No preservatives. Fast. Delicious. Smart. 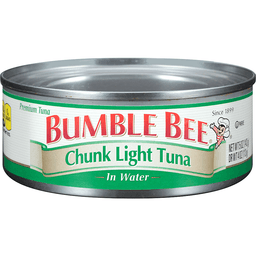 Bumble Bee® is committed to helping you maintain your active lifestyle with food that provides great taste, protein* and energy. It's kind of a no-brainer really, with Bumble Bee® you're ready-to-go-whenever and wherever your busy life takes you. 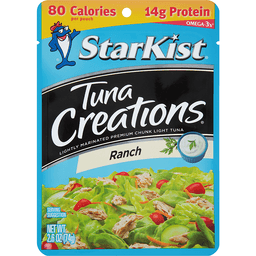 *Tuna salad is a good source of protein. Please see back panel for full nutritional facts. Partially produced with genetic engineering. Dolphin safe. 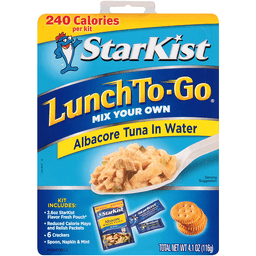 This snack contains: Ready-to-go. 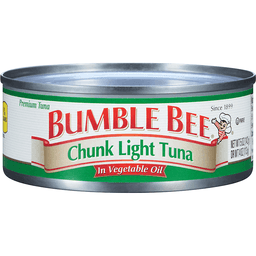 Bumble Bee® tuna salad. 6-buttery crackers. Convenient spoon. 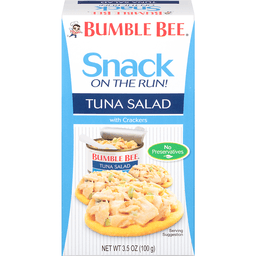 Bumble Bee® tuna salad, mixed and ready-to-go. For inquiries concerning product, include number shown on carton and can end. Visit http://www.bumblebee.com. 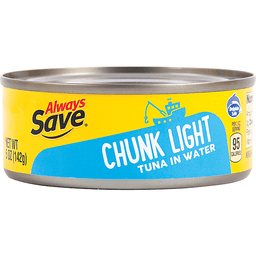 Lightly marinated premium chunk light tuna. 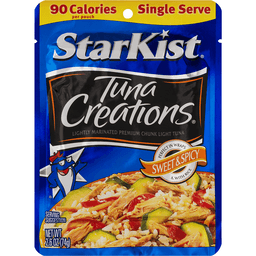 90 calories per pouch. 16 g protein. Omega-3's. 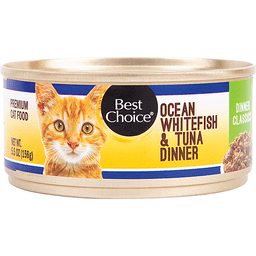 Contains 135 mg of DHA & EPA Omega-3's per serving. 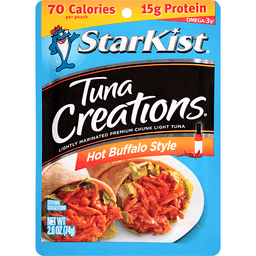 StarKist Tuna Creations Sweet & Spicy: with spicy peppers, sweet onions and delicious Asian-style seasoning. 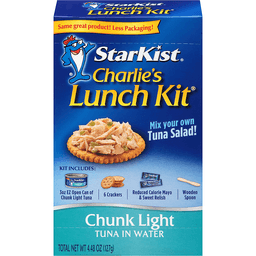 Enjoy on a salad, in a sandwich, on crackers, or right from the pouch. 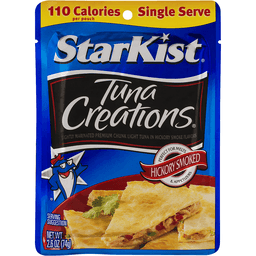 For more great ways to use Tuna Creations: www.StarKist.com. American Heart Association certified. Meets criteria for heart-healthy food. While many factors affect heart disease, diets low in saturated fat and cholesterol may reduce the risk of this disease. Gluten free. Dolphin safe. Questions or Comments? Call 1-800-252-1587 Mon-Fri, refer to code number on pouch. Product of Ecuador. 80 calories per pouch. 17 g protein. Omega-3's. Fresher tasting & no draining. American Heart Association certified. Meets criteria for heart-healthy food. While many factors affect heart disease, diets low in saturated fat and cholesterol may reduce the risk of this disease. Heart-check mark does not apply to recipes. Gluten free. Questions or comments? Call 1-800-252-1587 Mon-Fri. Refer to code number on pouch. 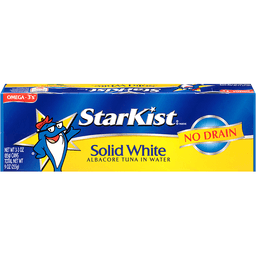 For great recipes, visit www.StarKist.com. Dolphin Safe. 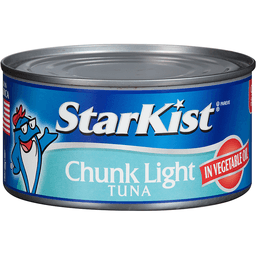 The best tuna. Heart healthy omega-3 (Supportive but not conclusive research shows that consumption of EPA and DHA omega-3 fatty acids may reduce the risk of coronary heart disease. 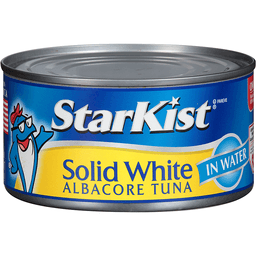 One serving of white tuna in water provides 0.3 grams of EPA and DHA omega-3 fatty acids. 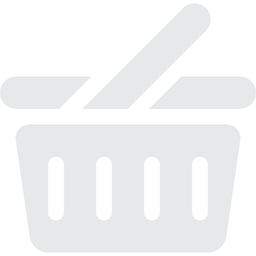 See nutrition information for total fat, saturated fat and cholesterol content.). Naturally 99% fat free. High in protein. 100% recyclable packaging. Wild caught. Dolphin safe. 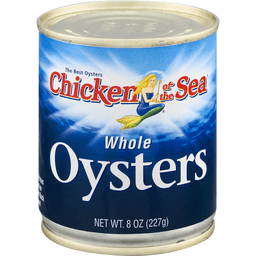 Find great recipes at: www.chickenofthesea.com. 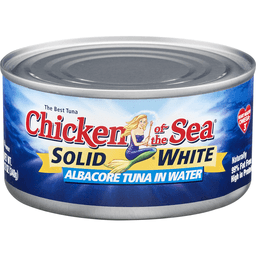 Send product comments to (include number from your can): Chicken of the Sea International, Consumer Affairs, PO Box 85568, San Diego, CA 92186-5568. 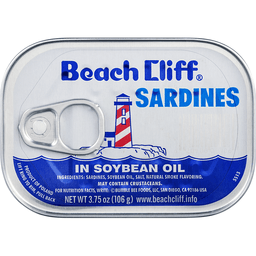 Beach Cliff® Sardines In Soybean Oil. www.beachcliff.info. 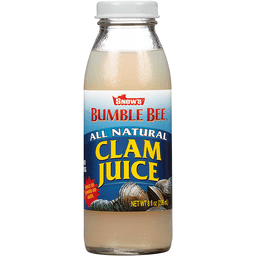 For nutrition facts, write: ©Bumble Bee Foods, LLC, San Diego, CA 92186 USA. Natural source of omega-3 (Supportive but not conclusive research shows that consumption of EPA and DHA omega-3 fatty acids may reduce the risk of coronary heart disease. 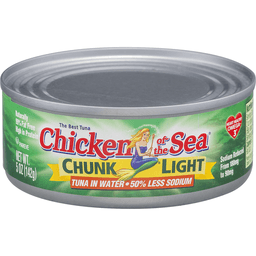 One serving of light tuna in oil provides 0.08 grams of EPA and DHA omega-3 fatty acids. See nutrition information for total fat, saturated fat and cholesterol content). Questions: 1-800-252-1587 Mon-Fri. Refer to code number on can end. 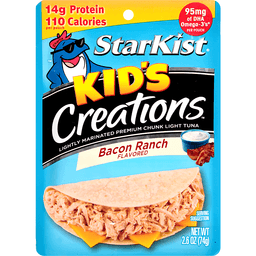 For great recipes, visit www.StarKist.com. Please recycle. Dolphin safe. Fresher tasting & no draining. Omega-3's (For information on Omega-3's and great recipes, visit www.starkist.com). American Heart Association certified. Meets criteria for heart-healthy food. While many factors affect heart disease, diets low in saturated fat and cholesterol may reduce the risk of this disease. Questions or comments? Call 1-800-252-1587 Mon-Fri. Refer to code number on pouch. Dolphin safe. Product of Ecuador. 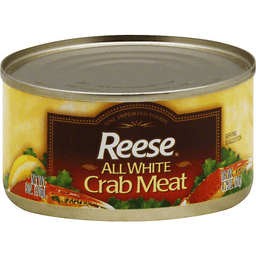 Reese quality since 1947. 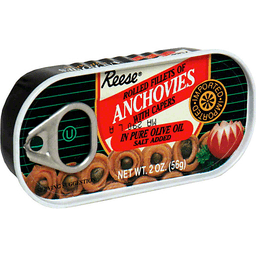 Reese Anchovies - treasured tiny fish from sunny shores bring a tangy and exotic flair to your favorite sauces, dressings, salads, pizza or seafood. 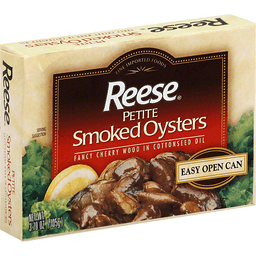 Recipes & more at www.ReeseSpecialtyFoods.com. Packed in Spain. 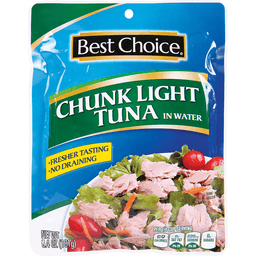 The best tuna. Heart healthy omega-3 (Supportive but not conclusive research shows that consumption of EPA and DHA omega-3 fatty acids may reduce the risk of coronary heart disease. 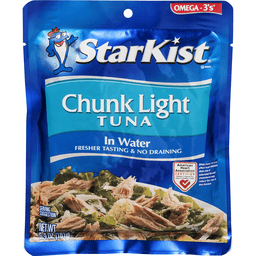 One serving of light tuna in water provides 0.1 grams of EPA and DHA omega-3 fatty acids. See nutrition information for total fat, saturated fat and cholesterol content.). Naturally 99% fat free. High in protein. 100% recyclable packaging. Wild caught. Dolphin safe. Find great recipes at: www.chickenofthesea.com. 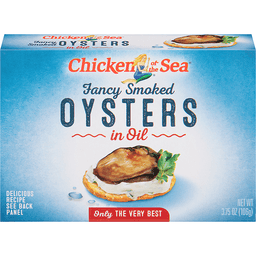 Send product comments to (include number from your can): Chicken of the Sea International, Consumer Affairs, PO Box 85568, San Diego, CA 92186-5568. 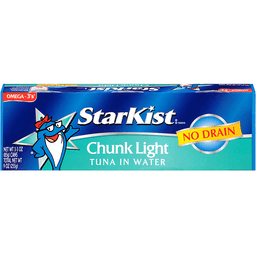 StarKist® Chunk Light Tuna In Water Family size! Natural source of omega-3. Fresher tasting. No draining. *Supportive but not conclusive research shows that consumption of EPA and DHA omega-3 fatty acids may reduce the risk of coronary heart disease. 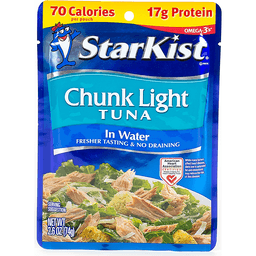 One serving of light tuna in water provides 0.09 grams of EPA and DHA omega-3 fatty acids. See nutrition information for total fat, saturated fat and cholesterol content. American Heart Association. Meets American Heart Association food criteria for saturated fat and cholesterol for healthy people over age 2. While many factors affect heart disease, diets low in saturated fat and cholesterol may reduce the risk of this disease. Dolphin Safe®. Questions or comments Call 1-800-252-1587 Mon-Fri. Refer to code number on pouch. For information and more recipes: www.starkist.com. ©StarKist Co. Drained Wt: 9 oz (255 g). Omega-3's (For more information on omega-3's and great recipes, visit www.starkist.com): Contains 110 mg of DHA & EPA omega-3's per serving. American Heart Association Certified: Meets criteria for heart-healthy food. While many factors affect heart disease, diets low in saturated fat and cholesterol may reduce the risk of this disease. Questions: 1-800-252-1587 Mon-Fri. refer to code number on can end. Dolphin safe. Steel - Please recycle. Made in America. 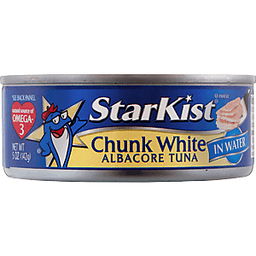 The best tuna. Heart healthy omega-3 (Excellent source of omega-3 EPA and DHA). Naturally 98% fat free. High in protein. Contains 150 mg of EPA and DHA combined per serving, which is 94% of the 160 mg daily value for a combination of EPA and DHA. 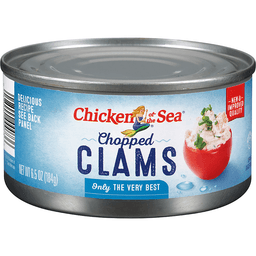 Find great recipes at: www.chickenofthesea.com. 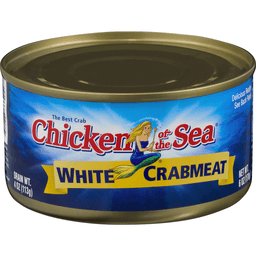 Send product comments to (include number from your can): Chicken of the Sea International, Consumer Affairs, PO Box 85568, San Diego, CA 92138-5568. 100% recyclable packaging. Wild caught. Dolphin safe. 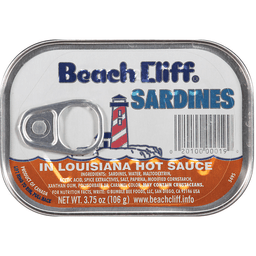 Beach Cliff® Sardines in Louisiana Hot Sauce. Net Wt. 3.75 oz (106 g). For nutrition facts, write to us. www.beachcliff.info. Bite size herring. 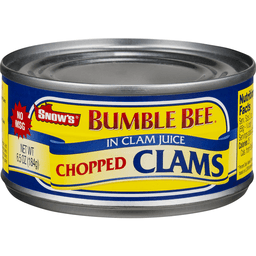 For nutrition facts, write: Bumble Bee Foods, LLC, San Diego, CA 92186. www.beachcliff.info. Product of Canada. Omega-3's (For more information on Omega-3's and great recipes, visit www.starkist.com). No drain. American Heart Association certified. Meets criteria for heart-healthy food. While many factors affect heart disease, diets low in saturated fat and cholesterol may reduce the risk of this disease. Dolphin safe. Please recycle. Questions: 1-800-252-1587 Mon-Fri.
All natural. 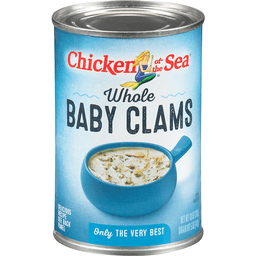 Perfect for chowders and sauces. No MSG. 100% recyclable product. 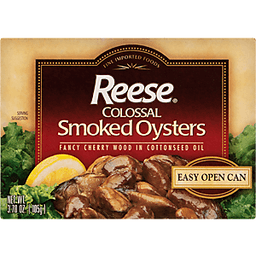 The secret ingredient for delicious fish and seafood recipes. Visit www.snows.com for recipe ideas. Include code numbers from cap with any correspondence. Product of USA. 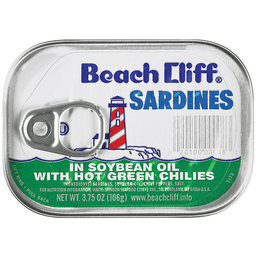 Beach Cliff® Sardines in Soybean Oil with Hot Green Chilies. Net wt 3.75 oz (106g). 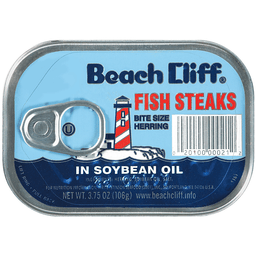 For nutrition facts, write: www.beachcliff.info. 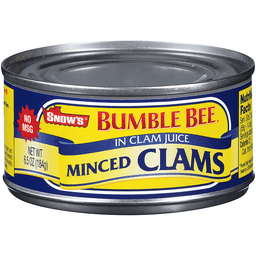 ©Bumble Bee Foods, LLC. 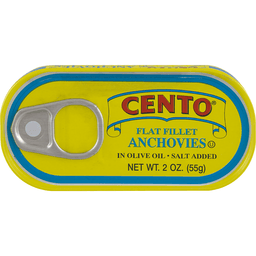 Add the authentic tangy bite to your caesar dressing! 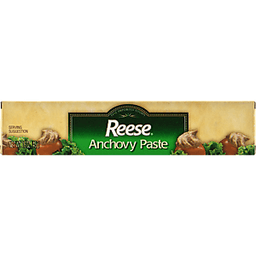 Reese Anchovy Paste - a savory paste made from treasured tiny fish from sunny shores - brings a tangy and exotic flair to your favorite sauces, dressings or seafood. 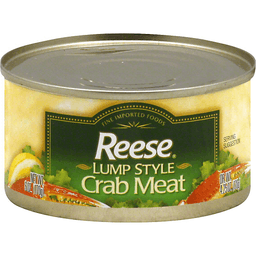 Recipes & more at www.ReeseSpecialtyFoods.com. 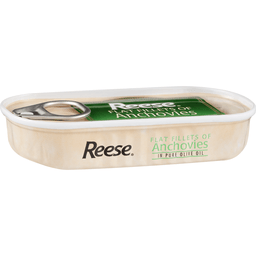 Reese quality since 1947. Packed in Morocco. Fresher tasting & no draining. Omega-3's (For information on Omega-3's and great recipes, visit www.starkist.com). American Heart Association certified. Meets criteria for heart-healthy food. While many factors affect heart disease, diets low in saturated fat and cholesterol may reduce the risk of this disease. Questions or comments? Call 1-800-252-1587 Mon-Fri. Refer to code number on pouch. Dolphin safe. Drain Weight: 5 oz (142 g). 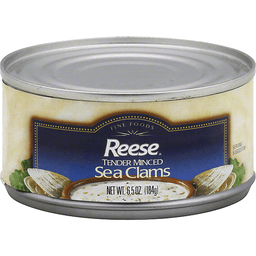 The best clams. Naturally 98% fat free. Wild caught. Product of Vietnam. 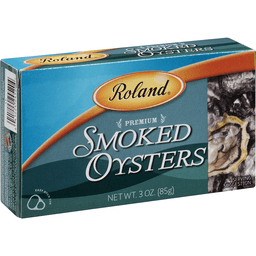 The best oysters. Naturally high in protein. Delicious recipe see back panel. Ring pull. Find great recipes at: www.chickenofthesea.com. 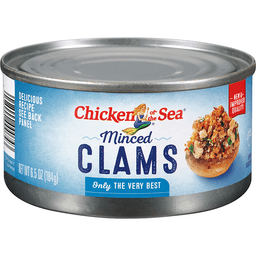 Send product comments to (include number from your can): Chicken of the Sea International, Consumer Affairs, PO Box 85568, San Diego, CA 92186-5568. 100% recyclable packaging. Product of China. 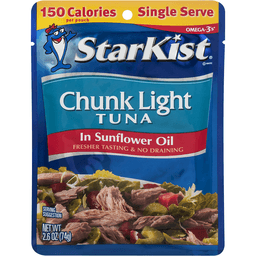 Premium tuna with jalapeno peppers in sunflower oil. Omega-3's (For more information on Omega-3's and great recipes, visit www.starkist.com). Questions or comments? Call 1-800-252-1587 Mon-Fri. Refer to code number on pouch. Dolphin safe. Product of Ecuador. 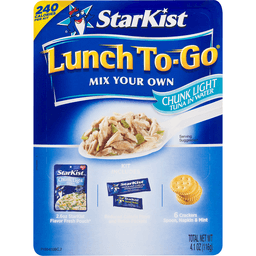 Kit Includes: 2.6 oz StarKist flavor fresh pouch; Reduced calorie mayo and relish packets; 6 crackers; Spoon, napkin & mint. 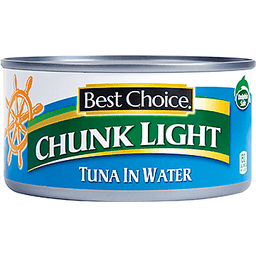 Chunk light tuna in water. 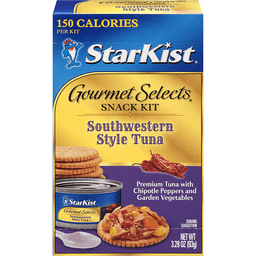 230 calories per kit. Mix your own. Dolphin safe. Questions or comments? Call 1-800-252-1587 Mon - Fri. Refer to code number below. For information and more recipes: www.starkist.com. Tuna, crackers mint & mayonnaise products of Ecuador. Relish product of USA. Only the very best. Delicious recipe. See back panel. 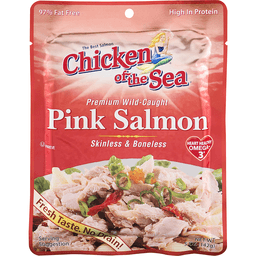 Explore great recipes at: www.Chickenofthesea.com. Not for sale in the state of California. 100% recyclable packaging. Question or comment? Let's chat! Call us toll free (844) 698-8621. Make sure to have your can code ready when you call. Product of Korea. In 100% olive oil. Easy open can. Product of Portugal. In pure olive oil. www.worldfiner.com. 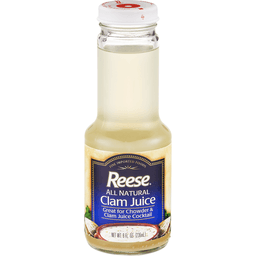 Recipes & more at www.ReeseSpecialty.com. Packed in Morocco. Drain wt: 4 oz (113 g). Only the very best. Delicious recipe. See back panel. 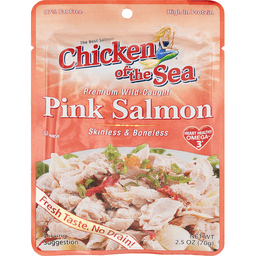 Explore great recipes at: www.chickenofthesea.com. Questions or comments? Let's chat! Call us toll free (844) 698-8621. Make sure to have your can code ready when you call. 100% recyclable packaging. Wild caught. Product of Vietnam. Heart healthy omega 3 (Supportive but not conclusive research shows that consumption of EPA and DHA omega-3 fatty acids may reduce the risk if coronary heart disease. 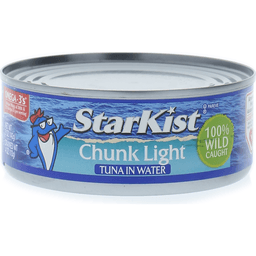 One serving of light tuna in water provides 0.1 grams of EPA and DHA omega-3 fatty acids. See nutrition information for total fat, saturated fat and cholesterol content). 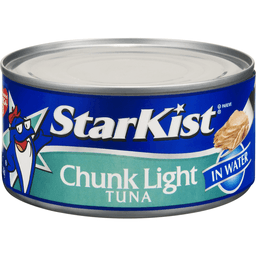 The best tuna. E-Z open cans. 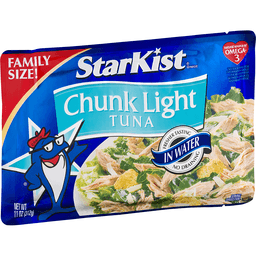 Ask any mermaid you happen to see what's the best tuna? 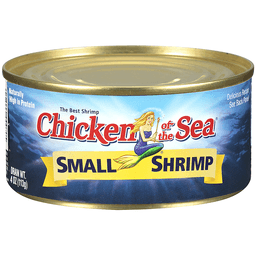 Chicken of the Sea. Compare for yourself. Find great recipes at: www.chickenofthesea.com. Naturally 99% fat free. High in protein. 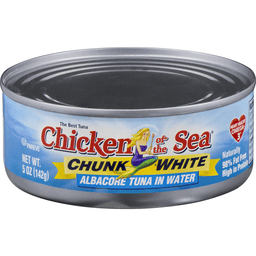 Send product comments to (include number from your can): Chicken of the Sea International Consumer Affairs, PO Box 85568, San Diego, CA 92186-5568. 100% Recyclable packaging. Wild Caught: Dolphin Safe. Fine imported foods. Wild caught. Product of Indonesia. 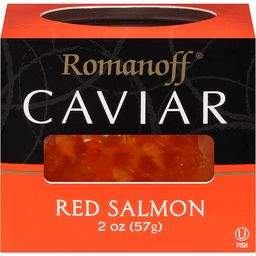 Romanoff® Red Salmon Caviar. Fish. 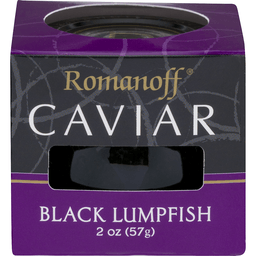 For over 175 years, the name Romanoff® has been associated with fine caviar. Wild caught in the pristine waters of the pacific northwest. Visit us at: www.romanoffcaviar.com. ©T. Marzetti Company. 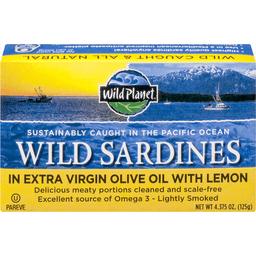 Wild Planet® Wild Sardines In Water with Sea Salt. Scale free. 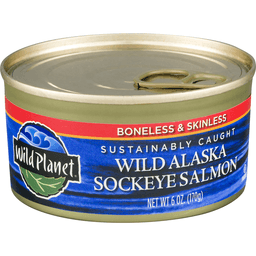 Sustainably caught in the north pacific. Net wt 4.4 oz (125g). Our wildly good promise. Wildly good for the planet. Wildly good for you. Wildly good taste. Nutritional powerhouse. 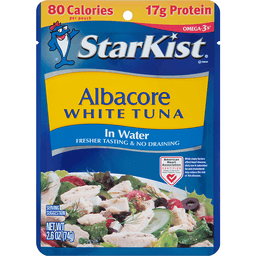 Average 11g protein and 1,190mg EPA/DHA omega 3 per serving. 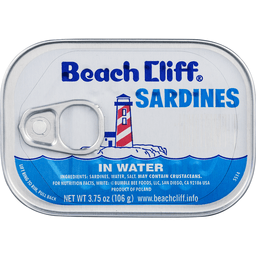 We pack North pacific sardines of superior freshness. 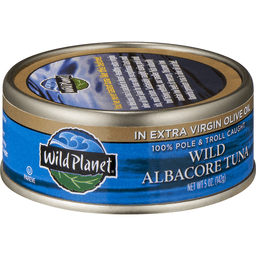 The fish have a firm meaty texture and rich mild flavor. 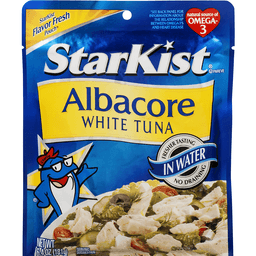 Enjoy this healthy and versatile fish anytime! Non GMO Project Verified. nongmoproject.org. wildplanetfoods.com. 4.25 oz drained. Fine imported foods. Wild caught. Product of Indonesia. Delicious meaty portions cleaned and scale-free. 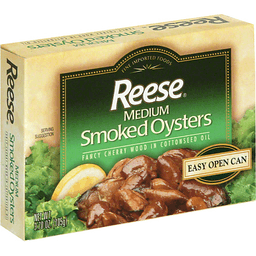 Excellent source of Omega 3 - lightly smoked. Sustainably caught in the Pacific Ocean. Wild caught & all natural. 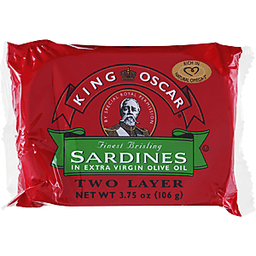 Highest quality sardines anywhere! Use in a Mediterranean inspired antipasto platter. Delicious over a salad or in open-faced cheese melts. 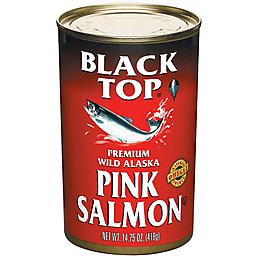 No BPA used in can lining. Pull top can. 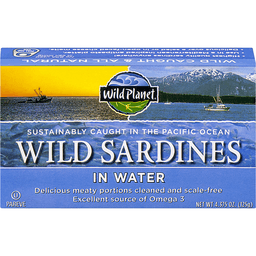 Nutritional Powerhouse: Ounce for ounce, Wild Planet Sardines provide more calcium and phosphorus than milk, more iron than spinach, more potassium than coconut water and bananas and as much protein as steak. 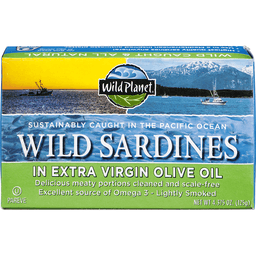 One can of Wild Planet Sardines contains 313 mg EPA and 688 mg DHA omega 3 and is an ample source of vitamin B12, vitamin D and selenium. 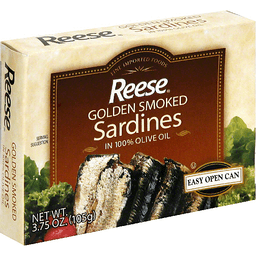 Sardines contain Coenzyme Q10 (CoQ10), a nutrient found in the body's cells and believed to have antioxidant and immune system boosting properties. 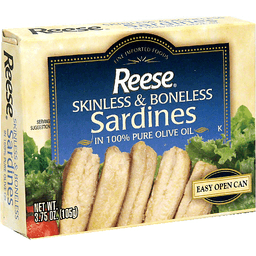 These sardines are considered a best choice for sustainability by a consensus of environmental organizations. For more information please go to: www.wildplanetfoods.com/sustainability-and-fishing-methods. Micro-cannery produced. 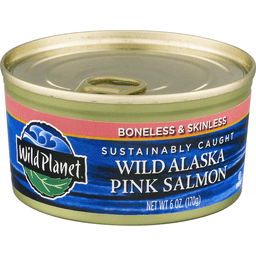 www.wildplanetfoods.com. Processed in Vietnam. Fine foods. Wild caught. Product of USA.